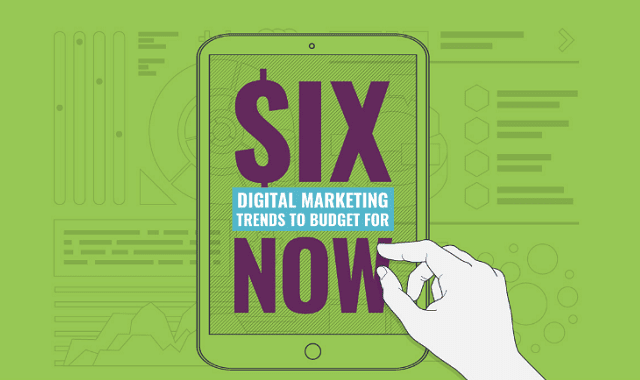 6 Digital Marketing Trends to Budget for Now #Infographic ~ Visualistan '+g+"
Which digital trends should you be budgeting for? What approaches will help make your marketing efforts more engaging and effective? To help you look past the fads and focus on what matters, we've combed through recent research reports to identify the digital trends that are predicted to have a major impact on marketing today. Each of these key areas is one that every marketer should at least be thinking about.